1.25 ACRES - 3 Bedroom Luxury Ocean View Home With Pool In Gated Community!!! 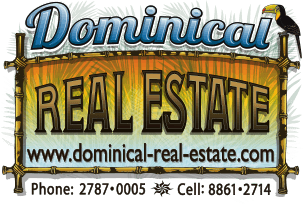 Turn Key Ocean View Home in Gated Community Above Uvita. We are proud to present to you this beautiful home in Uvita. It features all of the components most buyers are seeking: ocean view, pool, river frontage, lush rainforest setting, wildlife, privacy, land with expansion opportunities, easy access, minutes to the beach, and close to many of Southern Costa Rica's most popular attractions. The home currently serves as a private residence but it can easily function as a vacation rental for investors looking for desirable income-producing properties. On the lower level of the home, you will find a tropical pool area with an impeccably manicured backyard, a guest room with bath, a hidden laundry area with collapsible doors, an outdoor shower, and a covered patio area complete with a wet bar. The full-size washer and dryer are brand new and come with the home as well as a new water heater, water pump, and 50'flatscreens. In addition to these upgrades, the majority of the roof was updated this year. The property has an ample amount of parking space with a portion that can be used for expansion opportunities. From the construction of a guest house or a meditation deck in the rainforest, this property presents additional options for a buyer. Being minutes from the highway means you are close to the best that southern Costa Rica has to offer. Within minutes you can be in Bahia Ballena and downtown Uvita where you will find all of your basic necessities; medical, education, restaurants, shopping, and of course, beaches. The Marino Ballena National Park is one of the most beautiful beaches in the country. At low tide, the sand and water create a large whales tail that can be seen for miles. A walk out on the whale's tail is a must for everyone who visits. If you feel like adventuring a little further, less than 20 minutes north is Dominicalito Beach where fisherman bring in their daily catch and Dominical Beach where surfers flock to from all over the world.